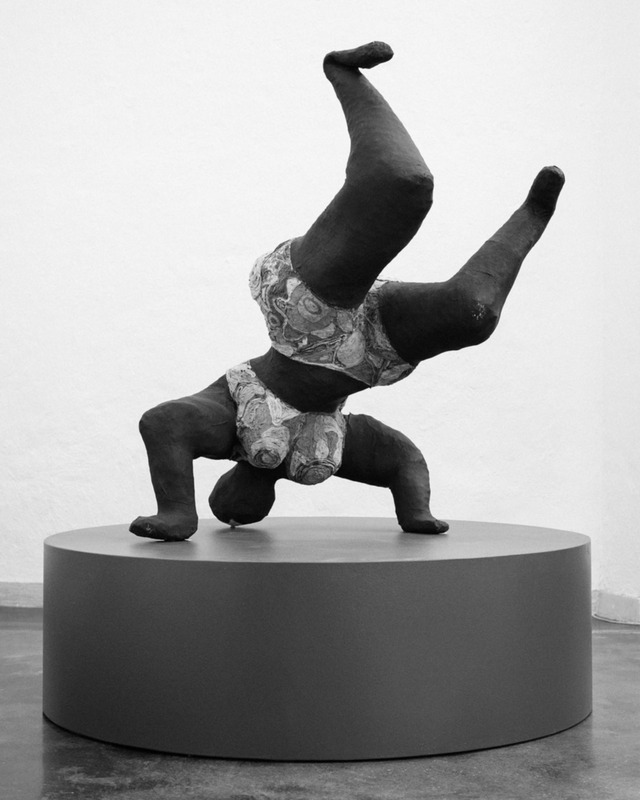 Nana Noire Upside down, 1965–6, by Niki de Saint Phalle, photographed in Taidehalli, Helsinki, August 2016. Do you ever feel the need to put your feet up? It is often the first thing I do after a long flight or being on my feet for a long time. What’s even better, a shoulder stand or a headstand. Going upside down is a brilliant way to utilize gravity in order to release blocks and congests in our body. King of yoga poses, the headstand, increases circulation, improves digestion and flushes nutrients and oxygen to your face, hair and scalp. You get a fresher glow and a natural face lift by letting your skin hang in the opposite direction than usual. By reversing the pull of gravity, congested blood in the colon gets released and the intestines are cleansed. Blood and fluids all over the body are able to move which supports circulation and the flow of your lymph. It is like shaking a ketchup bottle. Any fluid that is stuck in the feet is able to drain, and the adrenal glands are flushed and detoxified. If you are really tired, have your period or the idea of standing on your head or shoulders simply feels too extreme, lying on your back and putting your feet up against the wall has many of the same benefits but requires less physical effort.